CHRISTMAS cheer is not the only thing being dished up at this year’s Wanneroo Christmas Lunch. The annual event serves a free traditional lunch on Christmas Day to those seeking company or unable to afford a meal for themselves or their family. It also includes festive entertainment and children’s activities. 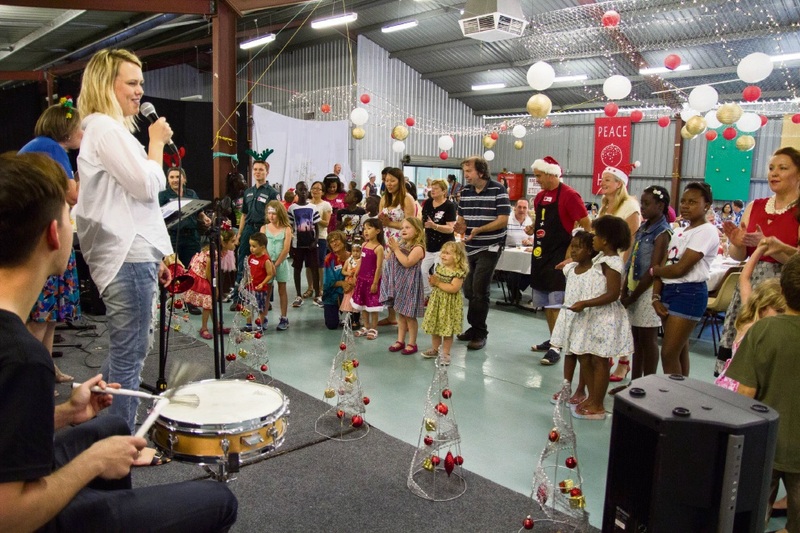 Committee member Louise Powell said the event aimed to ensure all City of Wanneroo residents could celebrate Christmas Day with lunch and good company. “As with any community there are always people in transition; more so when it is expanding and growing,” she said. “There are people in between jobs, changing relationships, immigrating and relocating and changing stages of life – leaving home, parenthood, empty nesting and retirement. Volunteers are needed to help with setting up on December 23 and 24 and with various tasks on December 25. The lunch runs from noon to 2.30pm on Christmas Day at the Margaret Cockman Pavilion at Wanneroo Showground. To register as a lunch guest or volunteer, visit www.wanneroochristmaslunch.com or call 9306 7191.